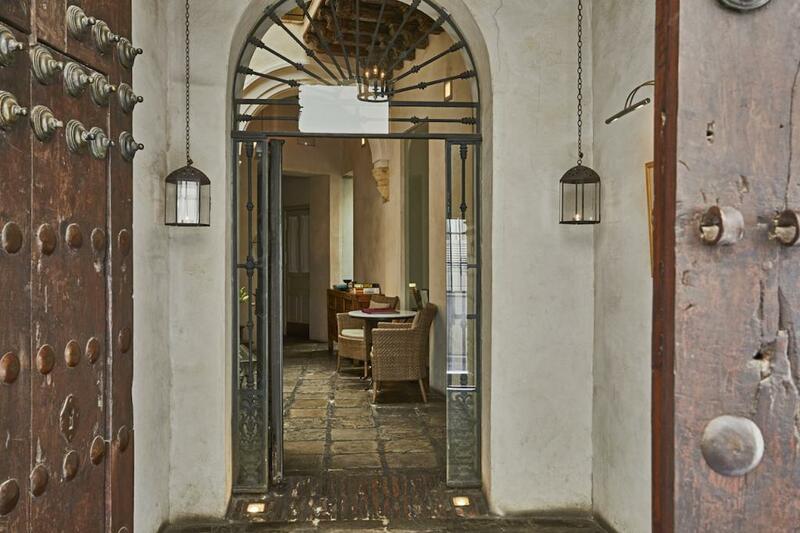 Further Afield partner, Corral del Rey is right in the heart of the city, tucked away down a cobbled lane surrounded by similar beautiful old houses. 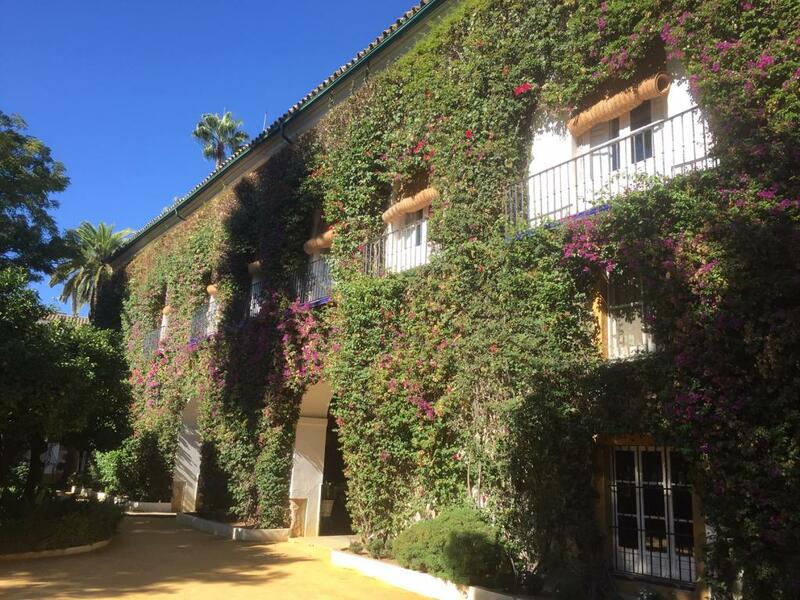 With two palacios directly opposite one another, the hotel feels more like the rambling home of a Spanish aristocrat than any standard “hotel” you can stay in. With individually styled rooms, tucked away roof terraces (one with a plunge pool) and suites (some of which have their own pools) it’s a fascinating building. It also smells amazing as you walk in… Managed by the lovely Susana, there are discounts available to Further Afield travellers. The hotel’s sorted so now it’s time to explore. 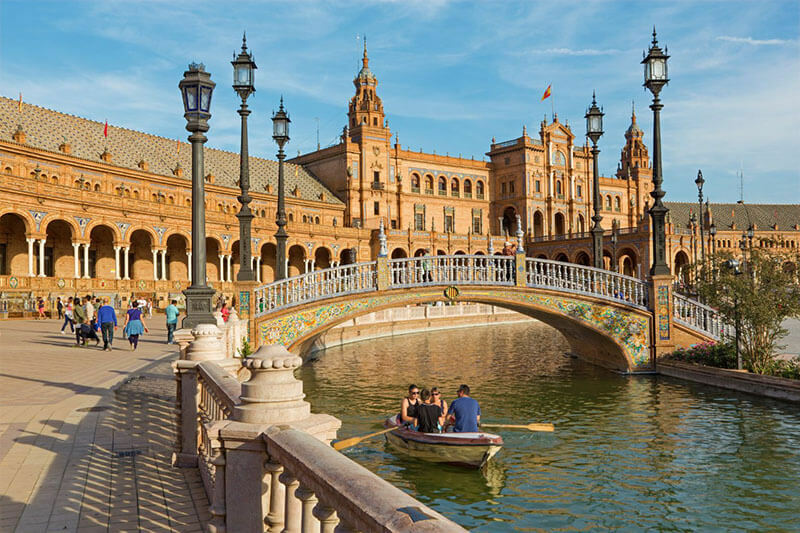 Seville is a city of romantic cobbled streets, wide plazas and dramatic buildings. The great thing is that the key sights are centred in the heart of the city so it’s easily explored on foot. It’s also a real city full of Sevillanos, great cafes and bars – all perfect for people watching. 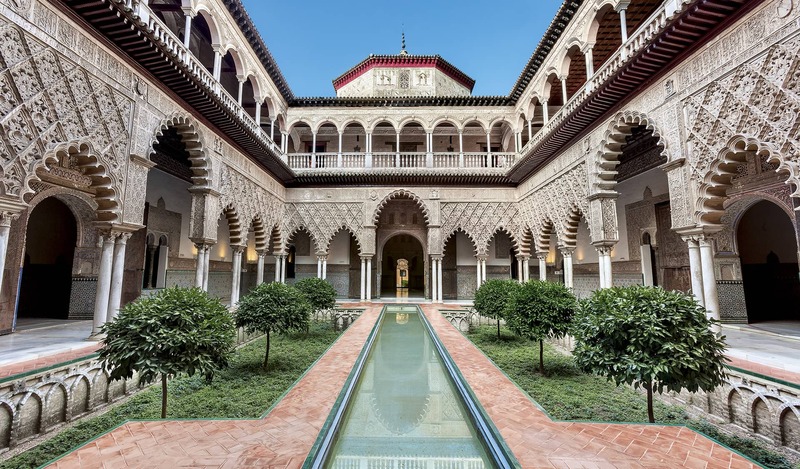 A site that goes back to the very earliest Christians, the Alcázar is an amazing mix of Moorish and Christian architecture and is the oldest European royal palace still in use – it’s the Spanish royal family’s official residence in Seville. Enter through the Lion’s Gate and explore the palace’s state rooms and ancient Moorish patios (including El patio de las Doncellas at the top of the page) before heading to the gardens, which we love almost as much as The Alhambra gardens in Granada. The gardens here are park-like and stretch on across acres of inner city grounds. The covered walkway, which curves through them (above) makes for a perfect viewing platform. On the site of a 12th century Mosque, the current building is the largest gothic cathedral in the world. 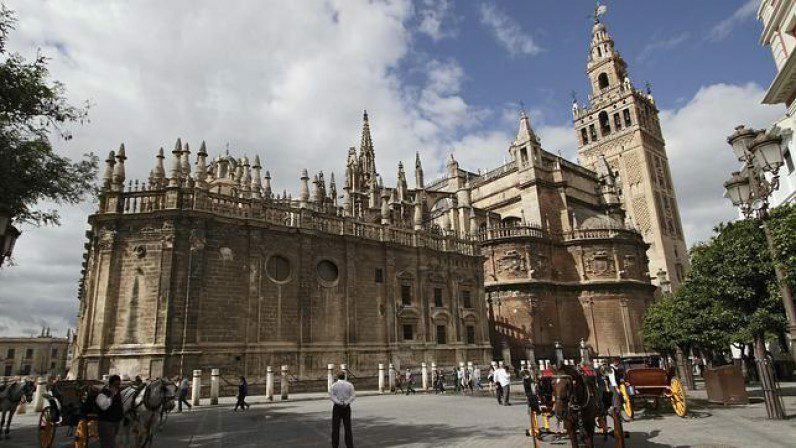 Sat surrounded by wide, cobbled streets its presence dominates the centre of the city especially its bell tower, La Giralda, which was formed from the minaret of the original Mosque. The inside is enormous and fascinating and can take a while to explore, so don’t rush your visit. Top Tip: Climb the tower for an amazing view across the city. Plus, if you’re planning to visit the Catedral and the Alcázar, you can buy combined tickets gaining you access to both. This vast plaza, full of Moorish and Renaissance influences, was actually only built in the 1920s for a regional expo. Wandering the semi-circle of colonnaded walkways, it’s the vibrant tile work that catches the eye – it’s everywhere. In front is the moat where you can hire a rowing boat if you fancy and then beyond is the lovely Parque de María Luisa (Maria Luisa Park). Top Tip: Parque de María Luisa is lovely to wander around too, so don’t miss its shaded pathways and seating areas – ideal for escaping the sun and the crowds. 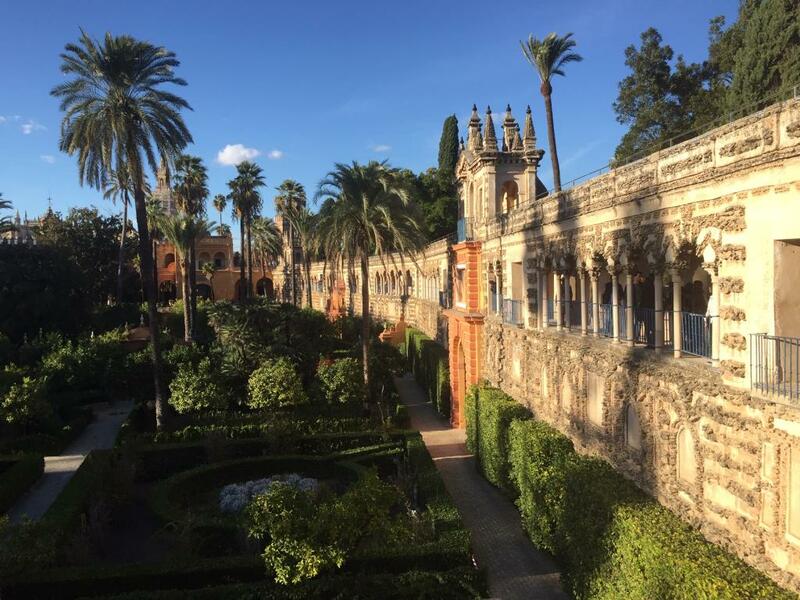 Seville is a city full of amazing palaces, many of which are private homes tucked away from prying eyes behind huge stone walls. However, there some which are open to the public including Palacio de Las Dueñas (above). One of the family homes of the eccentric but hugely loved Duchess of Alba, it’s crammed with interesting artwork as well as being a fine example of Spanish noble architecture. 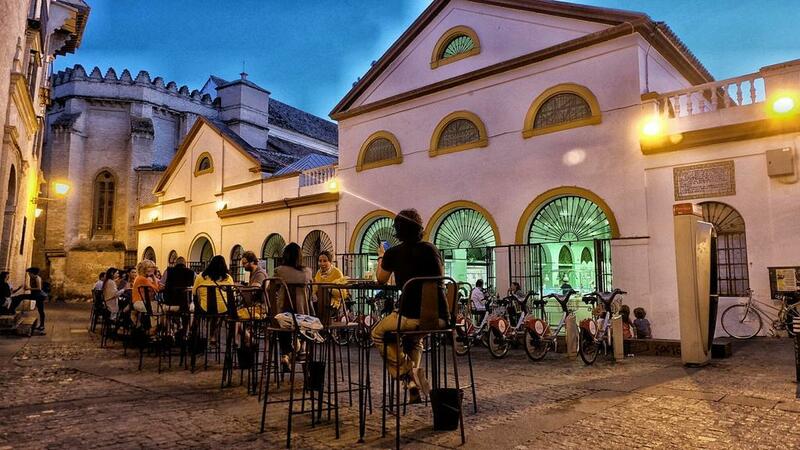 Seville has several distinct barrios (or neighbourhoods) which make up the vibrancy of the city. There’s a great guide on Culture Trip, featuring the “coolest neighbourhoods” (https://theculturetrip.com/europe/spain/articles/the-coolest-neighbourhoods-in-seville-spain/) but we love Feria just up behind the crazy “mushroom”, which is officially called the Metropol Parasol (https://en.wikipedia.org/wiki/Metropol_Parasol) but which locals call, La Seta (the mushroom)! There are plenty of bars and restaurants, plus at weekends the market (above) brings the area to life with its tapas bars and tables around the plazas. 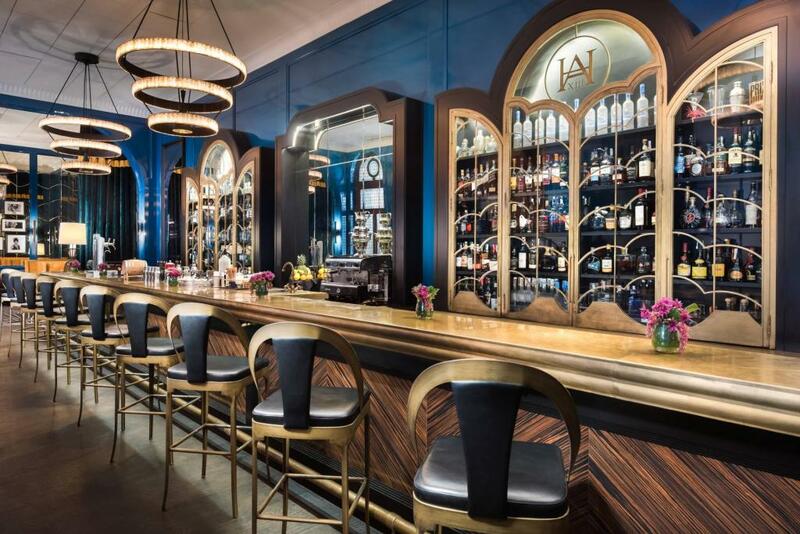 The Art Deco glamour of the place alone makes it worth a trip, but the cocktails are brilliant too! A great tapas fusion menu which make for a great lunch or supper option. Particularly nice on a sunny day on one of the tables outside. We hope that’s helped to give you some ideas for a weekend in Seville, but if you have any questions or comments on what we’ve produced just contact us. You might also want to combine Seville with some other Andalucian highlights, so check out our blog on a short tour of the region.